The Gamble, Poynter and Morris Rooms are three interlinked rooms in the visitor restaurant of the Victoria & Albert Museum. These rooms designed in the late 1800s are lavishly decorated. The William Morris Room was designed in a deep green colour scheme influenced by Gothic Revival with Elizabethan style panelling and stained glass windows. 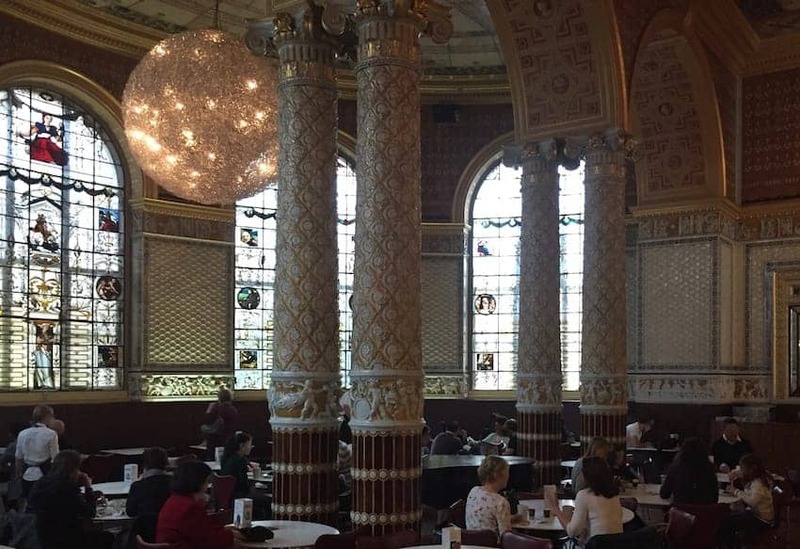 The main refreshment room, the Gamble Room is a display of Victorian opulence while the Poynter Room shows off Dutch blue tiles and a great iron stove. The perfect venue for a refreshment pause between viewing the exhibition galleries.